One role on this project is to create a series of pooled datasets through the use of measurement invariance modeling using R and to make this code available to anyone who wants it. Another role is to publish manuscripts from these datasets. Another role will be to help create data management and data analysis resources for the broader academic community (e.g., data entry best practice guide, data analysis workshop slides). This job also provides an opportunity to teach one class per year (during fall or spring). 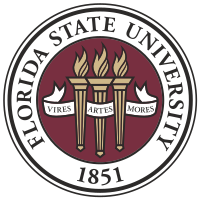 Candidates for this position must not be current students or staff at Florida State University. We are hoping to recruit an individual with a background in measurement modeling. Experience with data created by educational/learning disabilities researchers is a plus. Start date is tentatively set for August 8, 2019, but we are open to an earlier start date. Salary is set at the NIH-levels and benefits are set by our university, but we are able to add further support with generous travel and training opportunities, and a collegial and jovial work environment.